Sistema T030 | Officina In s.r.l. The system par excellence, in its narrowest sense: a set of modules of different sizes, different colours, covered and exposed sections assembled into classical compositions, contemporary, linear, asymmetric. T030 is the ability to decorate according to your imagination and the most personal needs of each house and individual environments. The containers are equipped, according to customer choice, with hinged, flap doors or drawers. The panels hung to the wall feature a hollow interior to allow ducting TV cables and multimedia equipment. 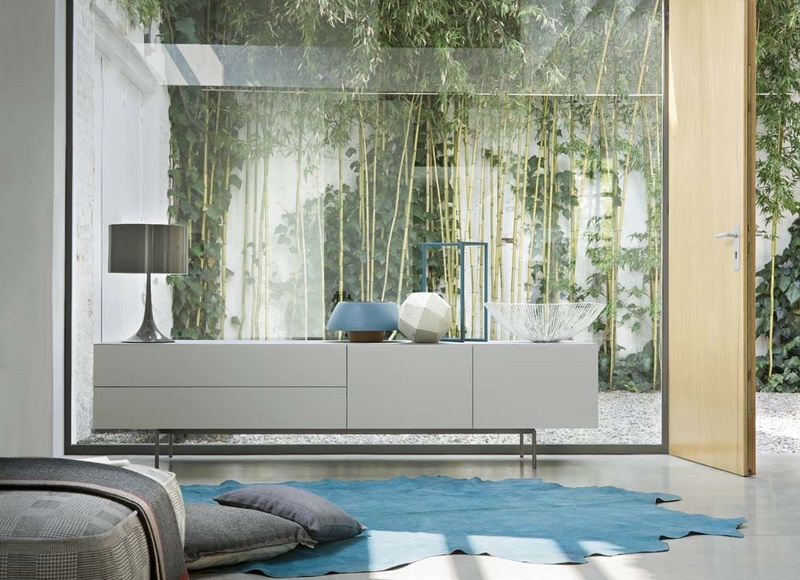 Box is a version of T030, a series of fixed ground and suspended compositions, built by using the system’s modules characterised by combinations, finishes, originality and elegance, typical of a limited version. Studied to facilitate the design and logistic phases, favour installation and contain costs, they consist of extremely elegant and versatile wall units, containers, and wall-configurations with high graphic impact suitable for various uses.